Gift from the registry or off the registry? I always waver on the decision of getting the person what they want/picked out or something a little more personal/that I want to give them. For a recent bridal shower, I decided on a combo of both–candle and oven mitt from the registry and DIY dipped wooden utensils. 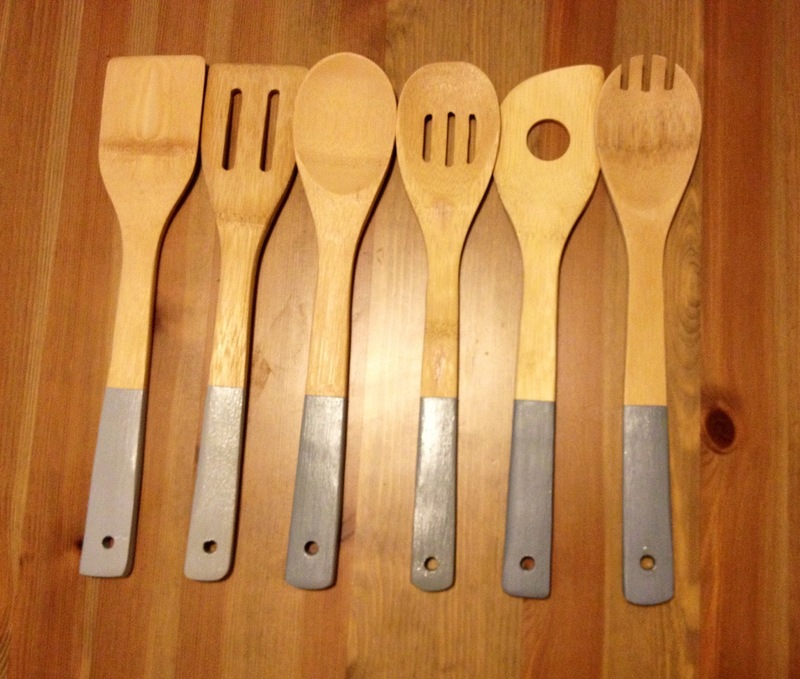 The dipped wooden utensils were super easy. I just did the steps over a couple evenings. 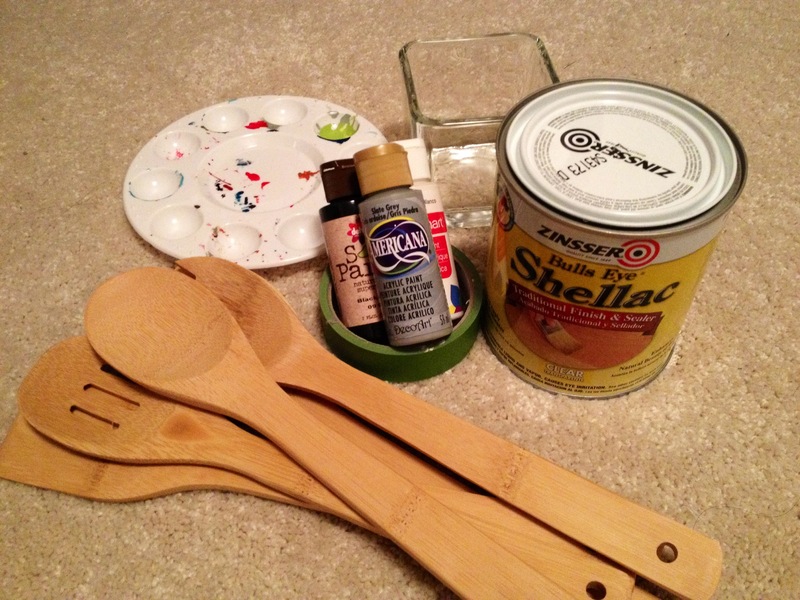 Using the painter’s tape, tape a straight line across the wooden utensil handle. You can make it as high or low as you want. Optional: use a ruler to measure the tape line on each utensil. Paint at least two coats of acrylic paint, allowing time to dry in between coats. (I attempted an ombre look but should have used six shades instead of just three.) Apply at least two coats of non-toxic shellac to give a nice sheen and seal in the paint. Allow time for the shellac to dry and then remove the tape. 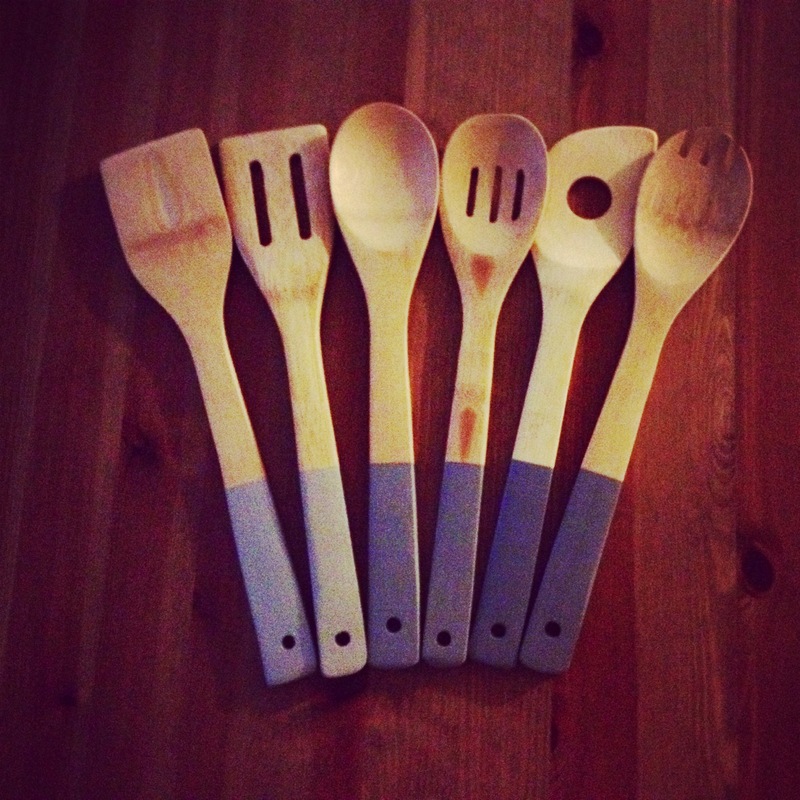 Voila, vamped up utensils! This entry was posted in Crafts, Gifts and tagged crafts, Dipped utensils, Gifts. Bookmark the permalink.